Cross off a memorable experience off your bucket list when you go for a Supercar convoy experience driving for 30-min. Test yourself behind the wheel or sit back and enjoy as professional drivers show you what these cars can do. 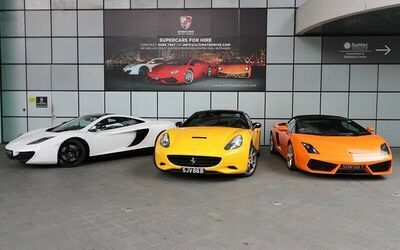 Thrill seekers can select from a fleet of exotic and unique imported cars including Ferrari, Lamborghini, and more. Valid Mon - Sun: 9am - 10pm. Valid on public holidays. Valid for licensed drivers, aged 21 years and above with minimum 2 years of driving experience.